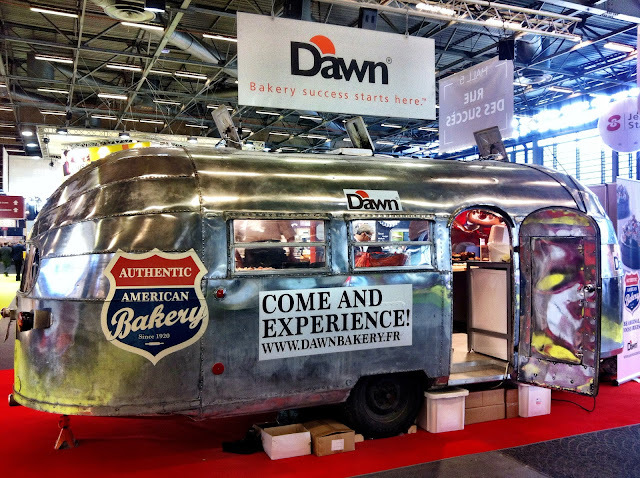 EUROPAIN 2014 was without a doubt one of the best 'conventions' I have been to in my life. 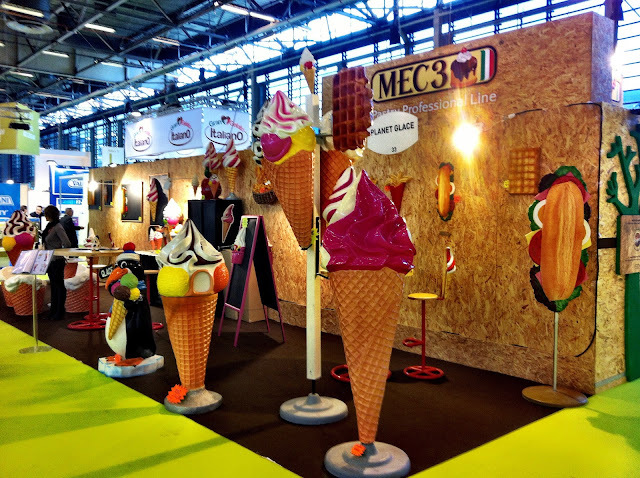 Picture this: a trade show with over 770 exhibitors from France and around the world all gathered in Paris to showcase their finest products, creations, ideas and innovations in the industry. 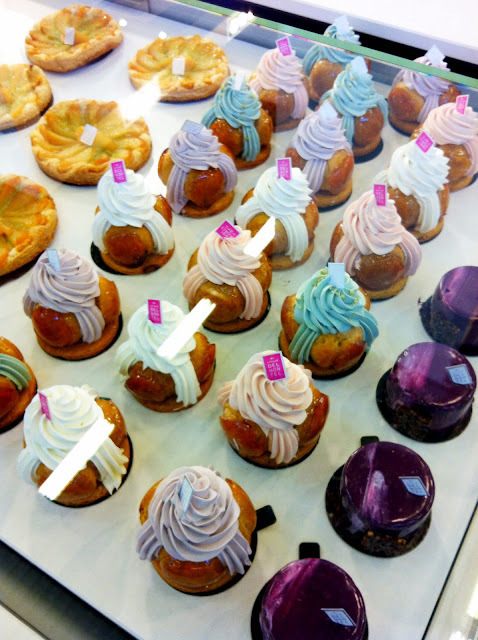 The bread, pastry, ice cream, chocolate, confectionery and dessert industry. Talk about being a kid in a candy store, this was even better than a candy store. 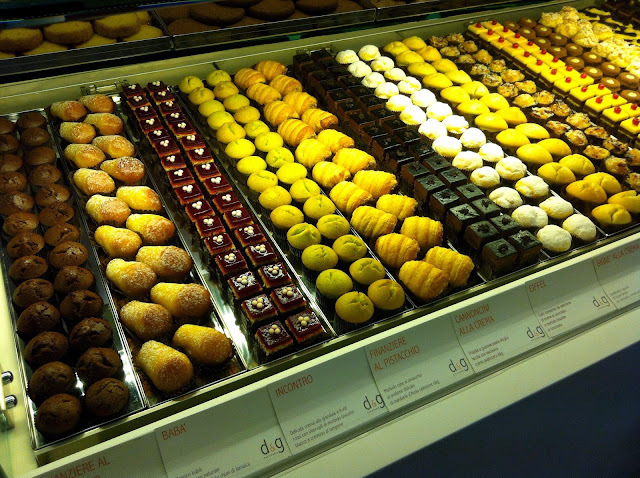 This store had chocolate and ice cream and desserts and pastries and cakes and, did I mention ice cream..!? 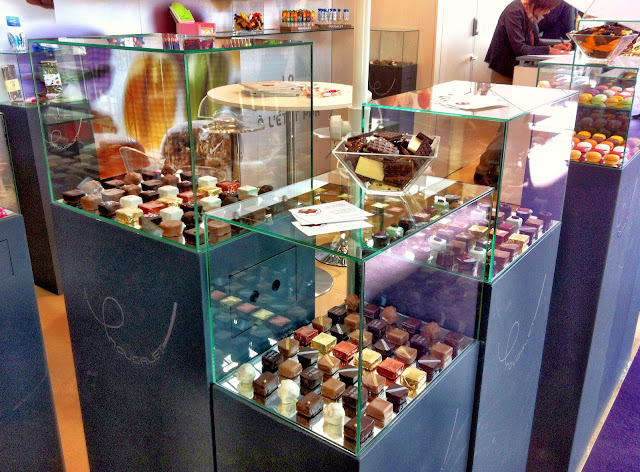 Now, aside from spending the day tasting delicious samples (!!) 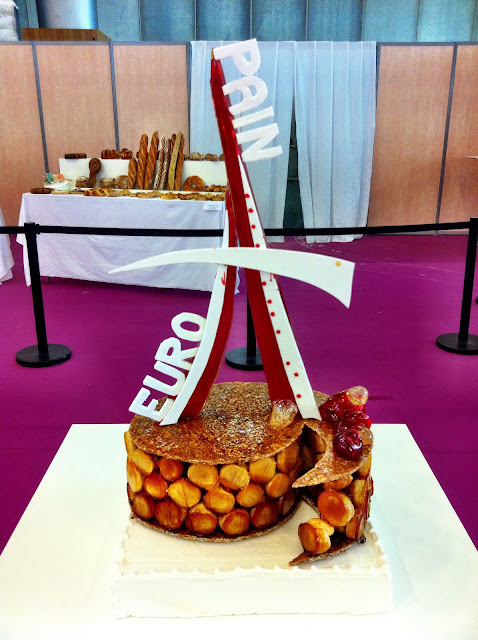 at Europain, I was also able to witness the final ceremony announcing the best bakers in the world at the Bakery Masters 2014 as well as see all their competition creations on display. In addition, I was able to chat with many industry professionals, watch some interesting live demonstrations and also learn a bit about the technology, techniques and expertise that is involved in creating the final product. 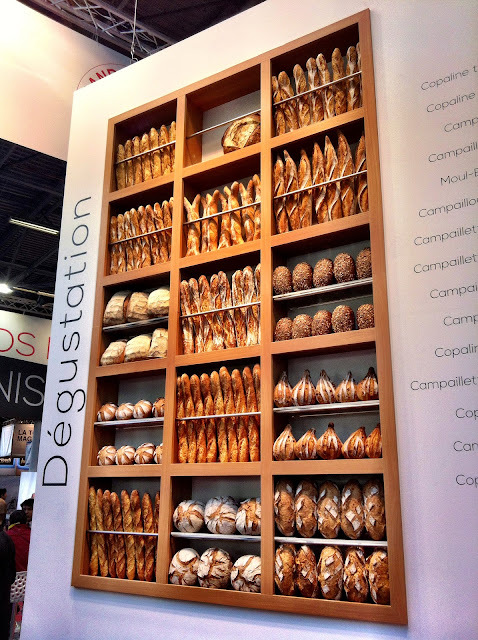 Starting off in the bread section, the largest part of the show, I was immediately blown away by all the beautifully different shapes, sizes, colours, flavours and variations under the sun. 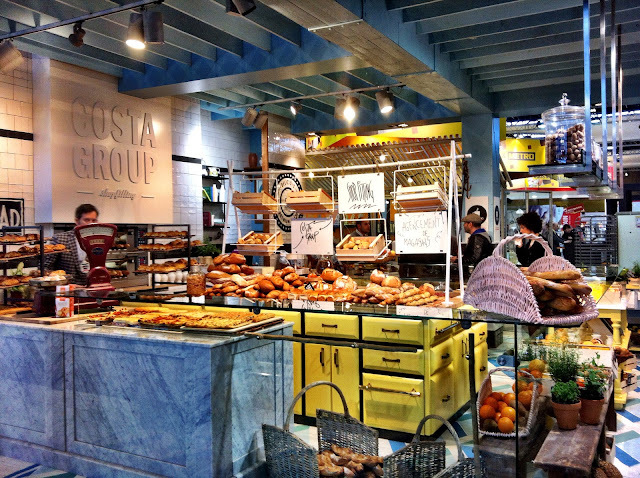 What a perfect place to have a Bread Convention, France, I thought to myself. 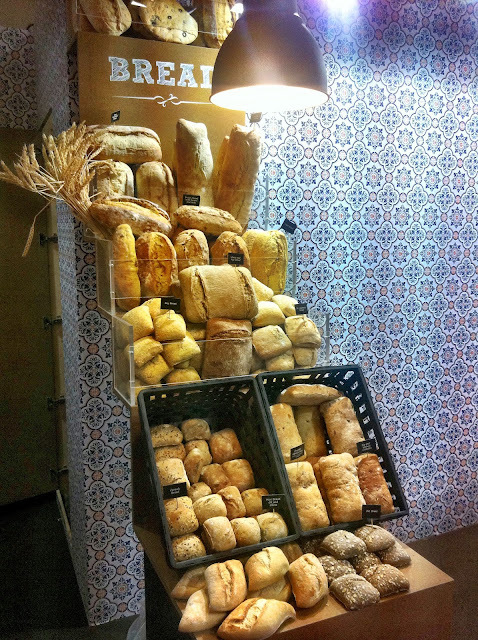 Live artisanal demonstrations ran non-stop throughout the day, filling the halls with the heavenly smell of freshly baked bread. Look at how crusty and bouncy they are! 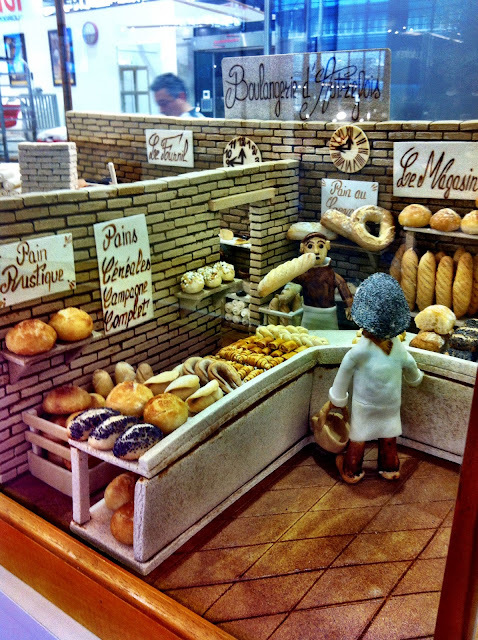 I found this cute little miniature boulangerie display and proceeded to take about 30 photos that looked awfully similar to one another. Here are two. 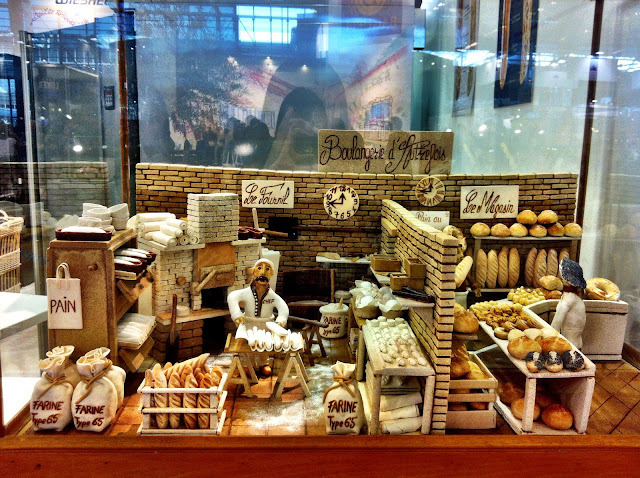 I was drawn to the Eric Kayser stall by their cool 3D bread mural. 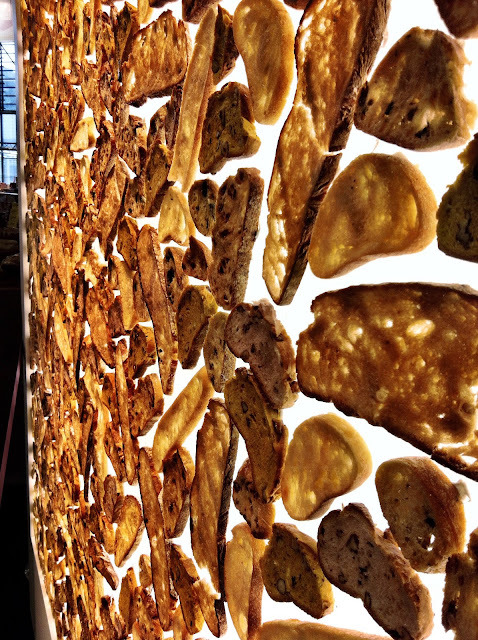 b) three words : unlimited. 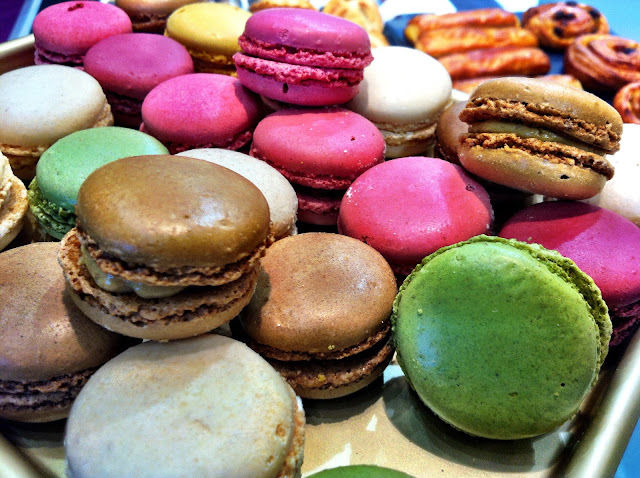 macaron. samples. 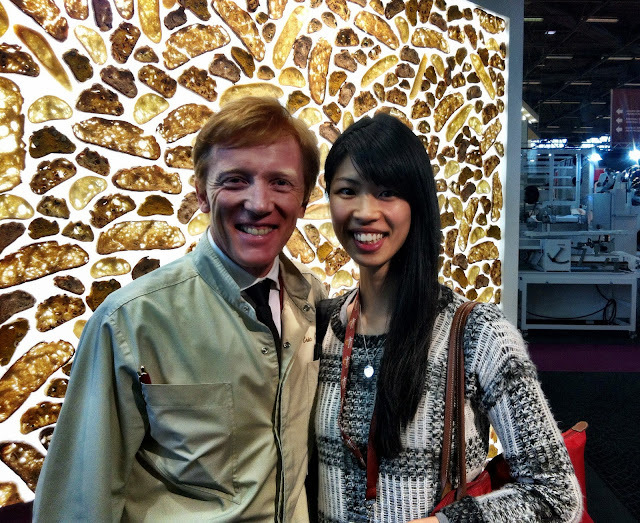 Eric Kayser was just lovely and so down to earth taking the time out to acknowledge, greet and speak to everyone who passed by his stall. 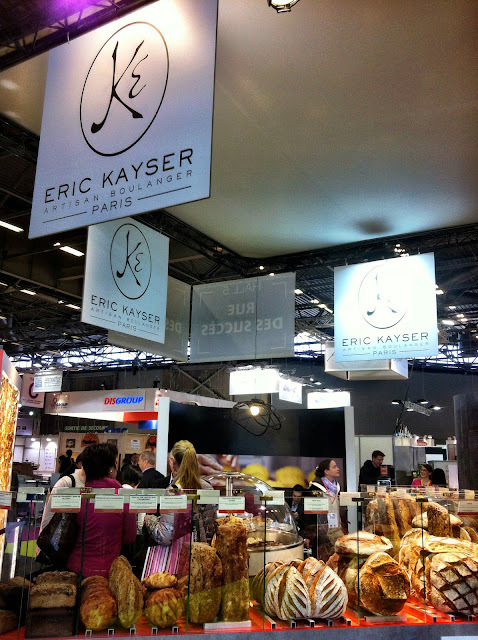 We chatted with his General Manager as soon as I asked when Eric Kayser stores would be coming to Australia, and yes the answer is that they will soon expand down under! With over 80 branches around the world, I didn't want my hometown to be missing out. 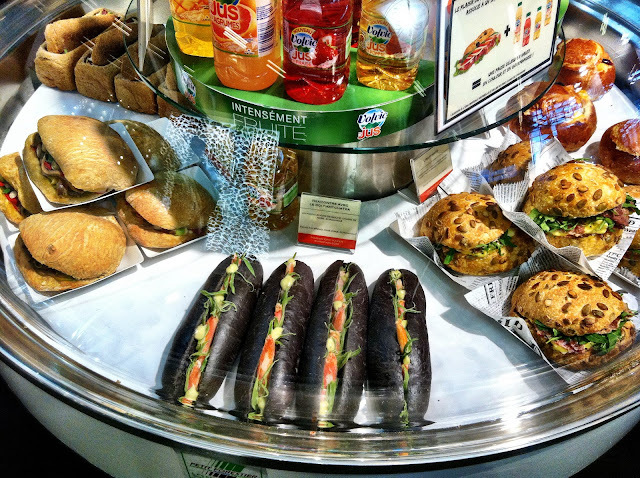 Anyone for squid ink baguettes..? 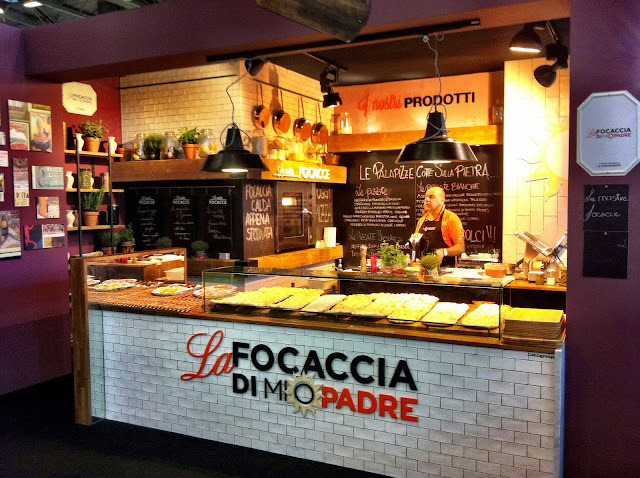 Franco-Italian entrepreneur Vincent Mourre of Mio Padre brought a little bit of Italy to EUROPAIN. 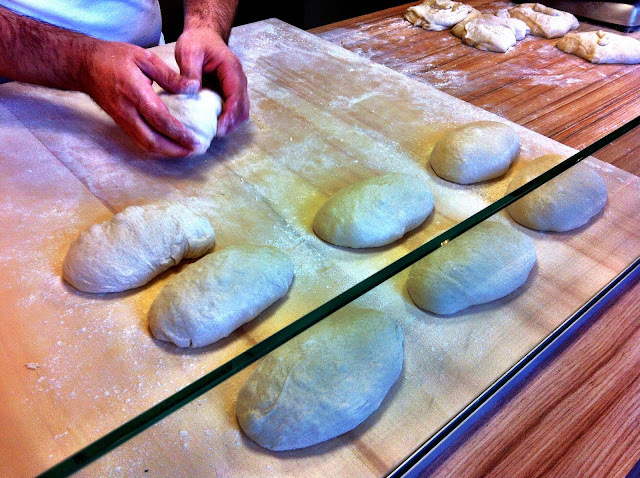 Oh the foccacia...! 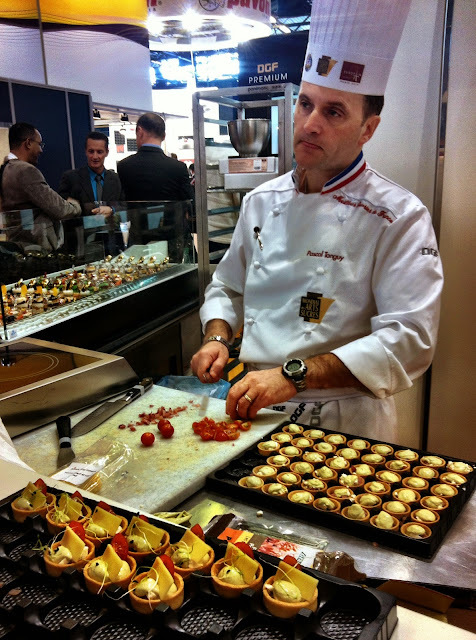 Tiny little scrumptious hors d'oeuvres were created on the spot for me to gobble up (discreetly of course). 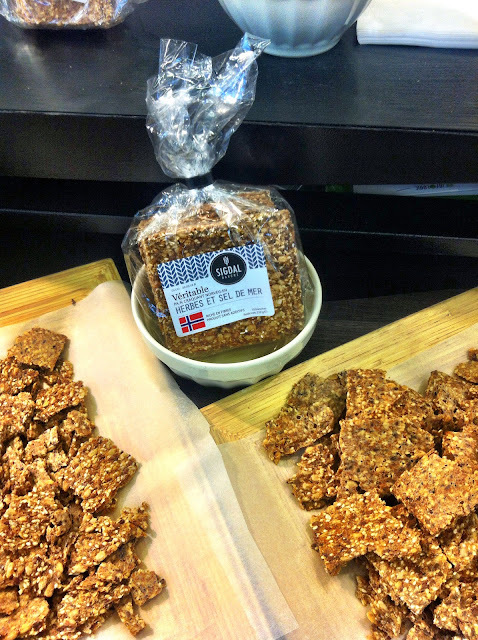 I also tracked down these yummy grain-packed Norwegian Sigdal crackers Carol from Paris Breakfasts had been raving about and found out that even with no additives, they could be kept for up to a year. 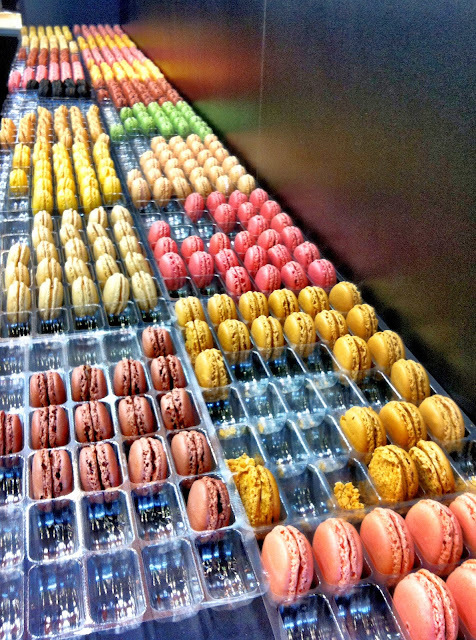 How about countless stalls offering unlimited macaron samples...!?!? YES. 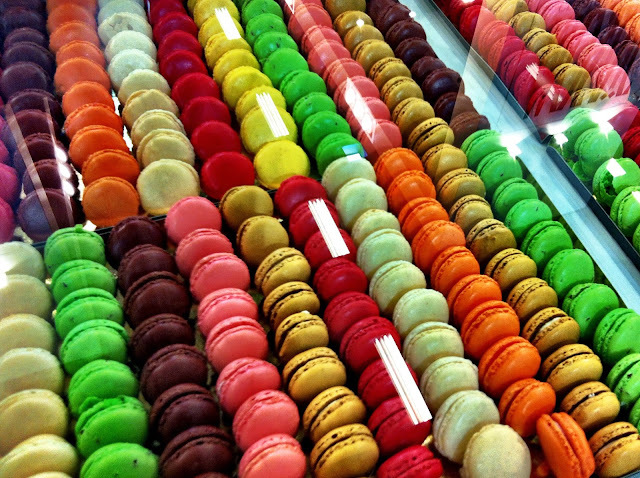 You did not read incorrectly, I just said unlimited macaron samples. 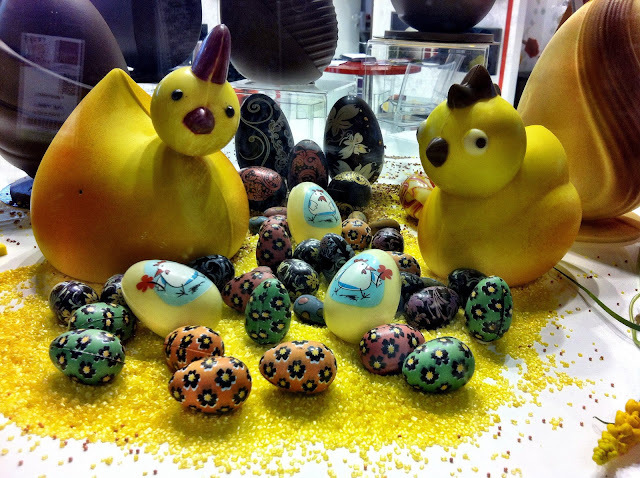 If only there was room for more..
Easter goodies introduced at an appropriate time for once! Back to something more 'educational' than the quality control role I assumed for the day. 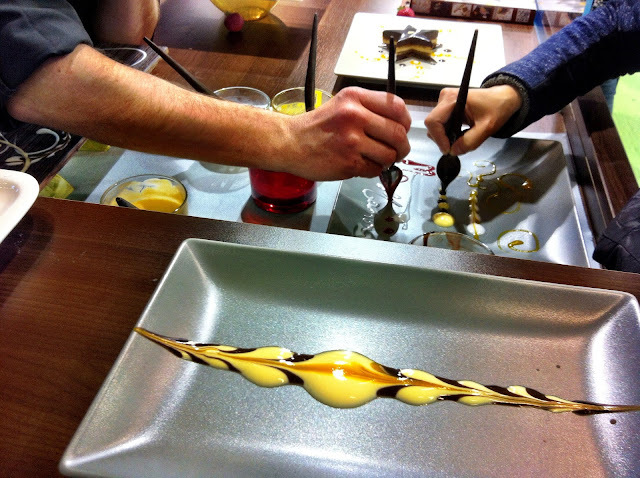 Demonstrations showing how to decorate and plate up your dessert revealed how easy it all actually was. Place alternating coloured blobs on your plate in decreasing sizes left and right (with largest blob in the middle). Draw a line from the middle blob, through the centre of each blob towards the right and then repeat from the middle towards the left to create this effect! Super easy to achieve with anything that will glide: yoghurt, chocolate sauce, vanilla custard, coulis etc. 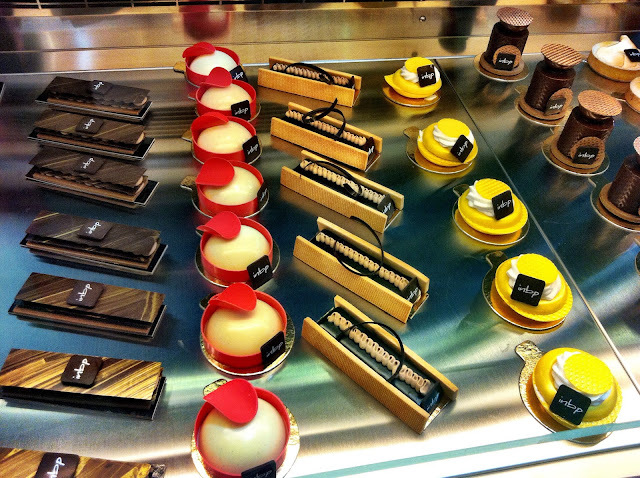 Not long afterwards, I was back to my quality control role, sampling some more desserts. 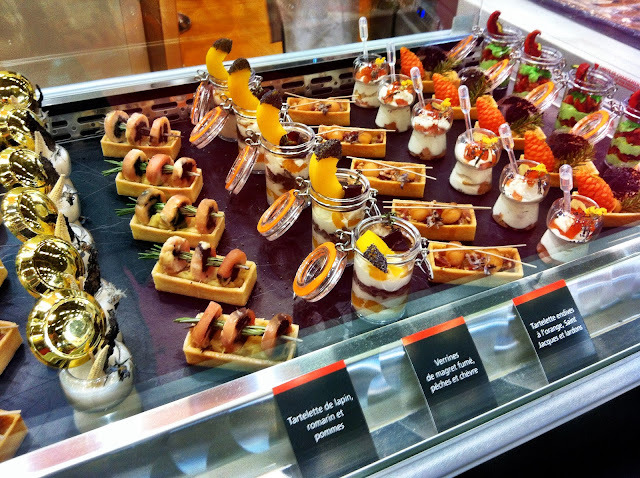 This time I had to eye the smallest portion on display (which was impossible as they were all uniform). Room in my stomach was quickly being filled up and I hadn't even reached the ice cream stands.. Finally I found the ice cream section of the hall. My eyes lit up. Seeing the giant cones in the distance, my pace quickly transferred to a brisk walk jog. 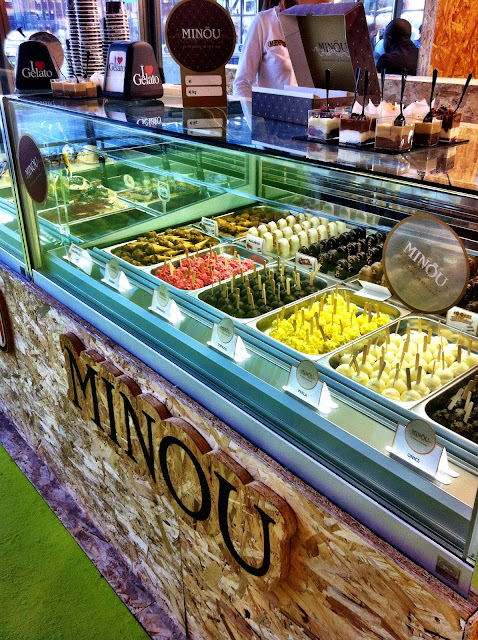 I don't remember much after I was faced with unlimited ice cream samples. It was a bit of a blur, I even forgot to take photos. I do however remember being tempted by other ice cream products, which I did not discriminate against of course. 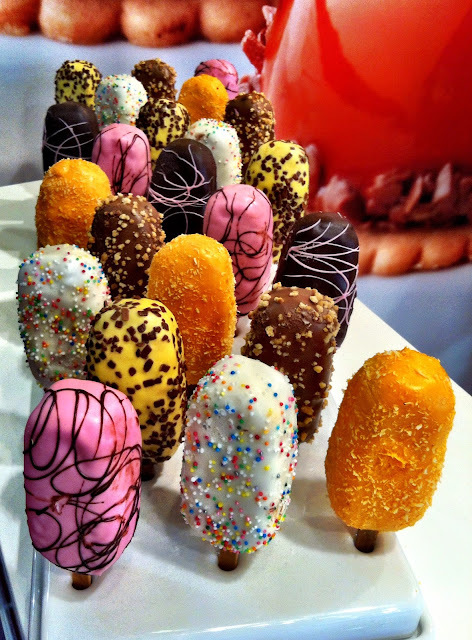 More to ice cream than just ice cream.. 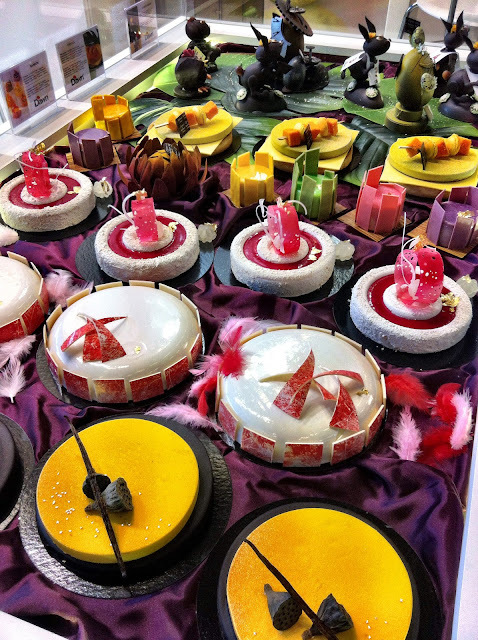 Thank you EUROPAIN for a wonderfully magical Willy Wonka day. 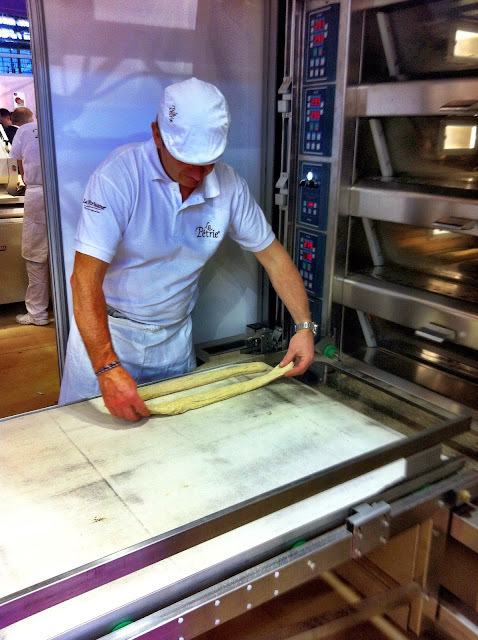 Thrown into the world of bread, pastries, ice cream, chocolate, desserts and confectionery allowed me to gain a better understanding of all the behind the scenes considerations, processes and stages involved, along with the passion, hard work and dedication that is overwhelming present in this industry. My taste buds were taken on a joyride to paradise and I do believe I woke up the next morning thinking.. was it was all.. a dream..? Haha, me too I'm jealous of.. myself last week! Still thinking it was all a dream.. Seriously invite me next time. Seriously. I will train it up there just to attend this! Are you working in the industry? Oh no! 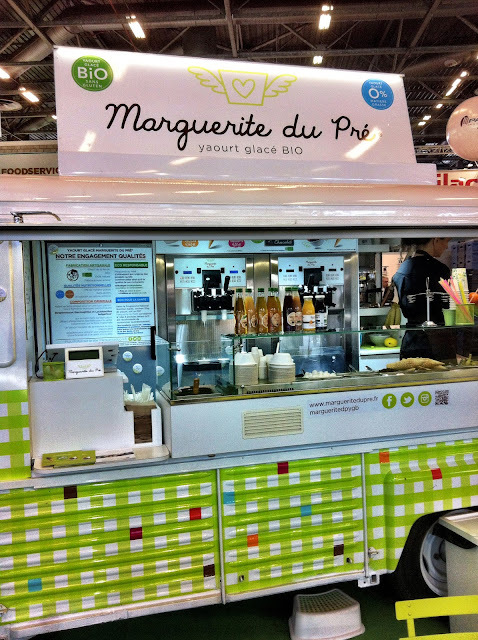 You missed out on the macaron samples..! I was so excited when I saw them, I seriously couldn't believe my eyes! I don't work in the industry unfortunately, I had a press pass (but hardly spent any time in the upstairs press room as it was much more interesting downstairs). Are you working in the industry..?! Dear Nhan, I stumbled on your blog by chance:). 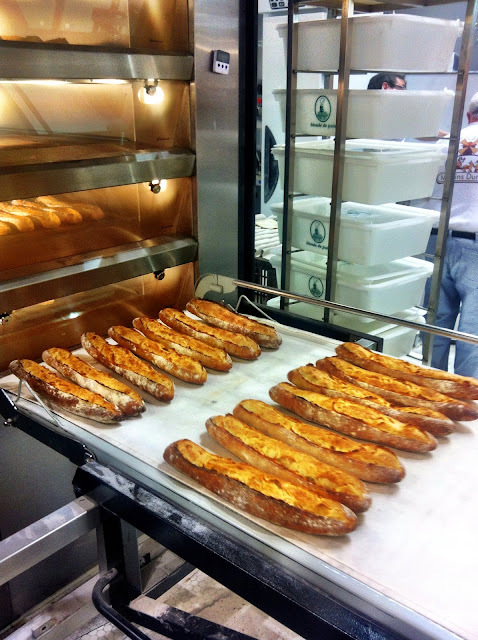 I have never heard of Europain before, I love french baguette and would have loved to attend this event. Does it happen every year? And could you tell me how I can get a press pass? Love reading about you and your love for Paris! Thanks for sharing, hope to hear from you soon. Sorry for the delay, it's been a super busy week in Paris with Fashion Week taking over the city!! So glad you stumbled across my blog (by chance) and even more glad that you enjoy reading it..! Europain is an industry only event so it's only for people who work/study in the profession (which is why I had never heard of it either..). In order to request a press pass you just need to contact the person responsible (details found in the FAQ section after googling Europain). Send them an email and they will get back to you with the rest of the instructions. 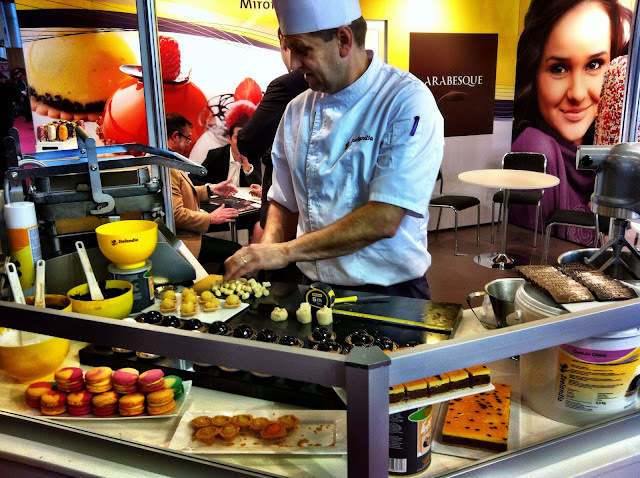 As far as I'm aware the next Europain is in 2016, I can't wait to go again - maybe I will see you there too..! I had some problems with the comments but hopefully it's all working now! Oh my gosh…!!! This is something very yummy and honestly I am a foodoholic that is I love food too much. These photographs that you have shared through the post are really very good. Thanks Domnic! 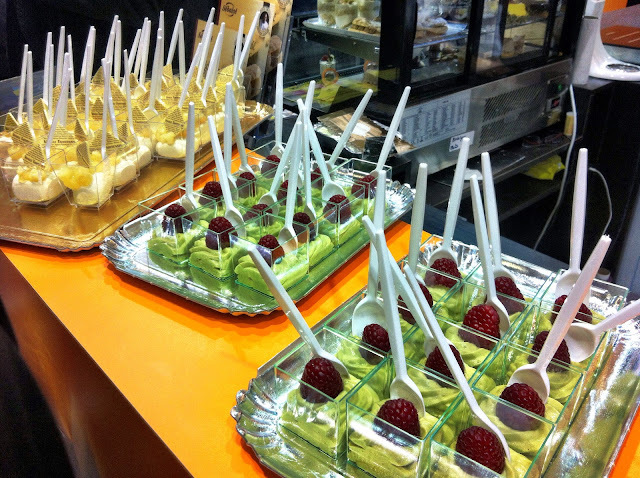 You should try and head over some time to attend EUROPAIN itself! I'm sure you'd love it!